The Baileigh BS 250M Manual Bandsaw is a horizontal band saw from Baileigh Industrial and is a great saw for any fabrication shop that cuts a variety of materials and profiles. 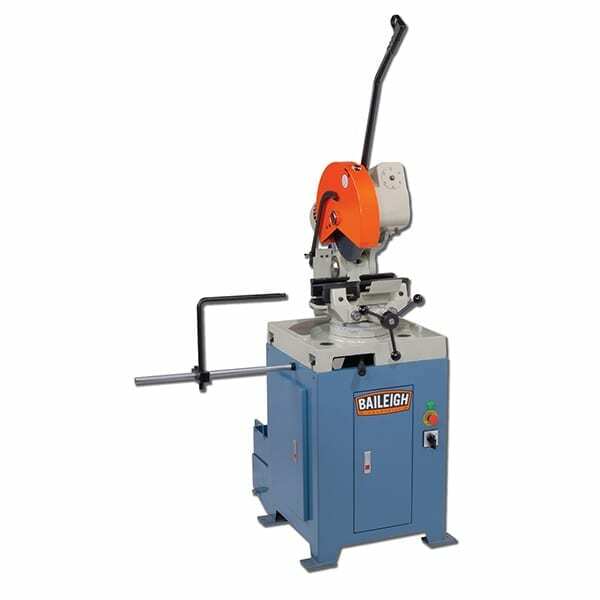 The BS-250M is an inverter driven, variable speed bandsaw that allows the operator to precisely adjust the speed for the proper blade and material, increasing the life of the blade and decreasing expensive blade costs. 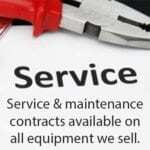 The inverter drives a 1.1kw high torque AC motor through a gearbox so there are no pulleys to adjust or belts to break. 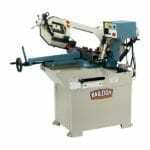 The BS-250M horizontal bandsaw is a single mitre bandsaw capable of cutting up to 229mm (9″) round metal stock, and can mitre up to 60°. Changing the mitre angle takes just seconds, and the best part is the vice stays in place. 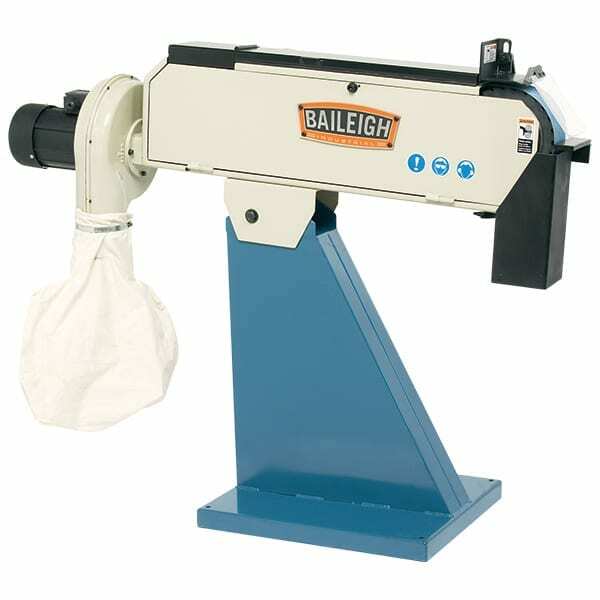 Like all Baileigh Industrial bandsaws, the BS-250M includes a powerful industrial grade coolant pump that washes away chips before and after the cutting area. This cools the blade teeth, lubricates the blade, and removes the metal chips from the blade making the blade last longer. 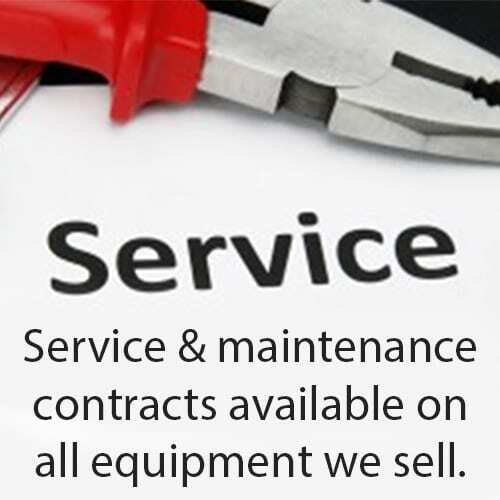 Another nice feature of the BS-250M is there are two ways to operate it, using the pull down arm and trigger switch to activate the blade and coolant, or if you’re in more of a production run, you can switch the machine over to cut automatically using the hydraulic descent feature that will cut through the material using the pressure you determine and will shut down the blade and coolant when completed. 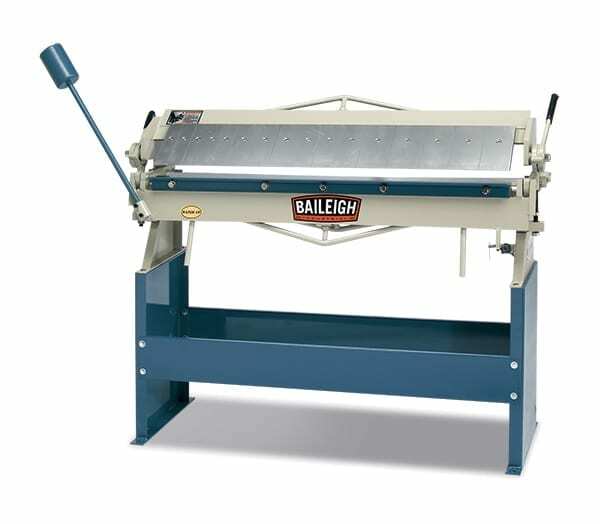 Baileigh Industrial’s horizontal band saws are designed and built to offer decades of precision metal sawing service. 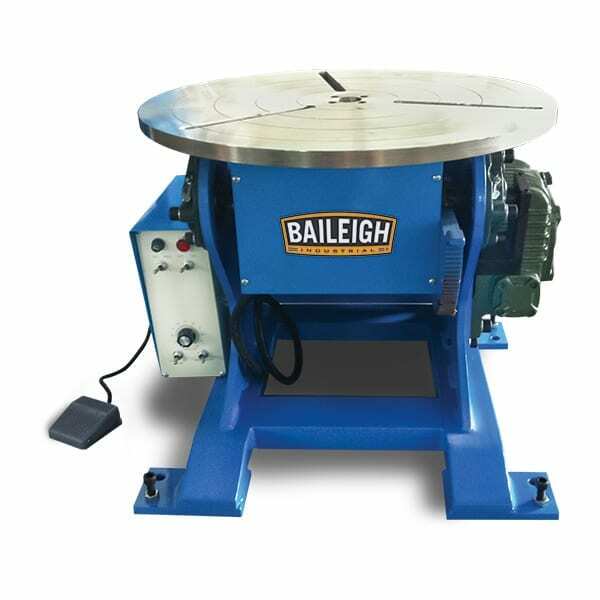 To find out more about this quality metal cutting band saw, please call Baileigh Industrial now.